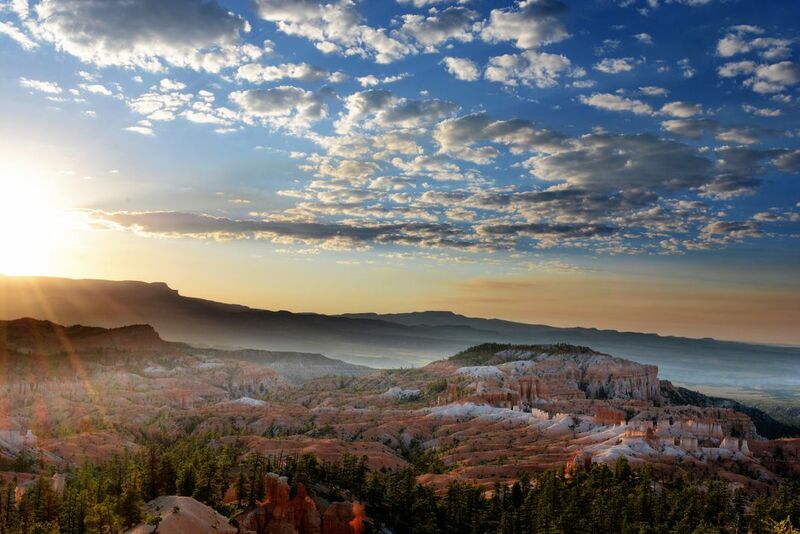 Sunrise at Bryce Canyon, where the sky shows a vast range of colors over a gradient of clear blue sky to a darkened brown fire polluted sky. The Brian Head fire had burnt around 70,000 acres of land causing over 30 million dollars worth of damage. Date Uploaded: Aug. 16, 2017, 8:25 p.m.